As scientists, all formulators have an inherent trust of data. As long as the data has been validated, then we expect objective decisions to be made and a project to proceed, or not, on the basis of hard data. However, a number of recent events have called into question, in my mind at least, the absolute validity of this when it comes to regulation and I am coming round to the view that emotions play just as large a role in some arenas. 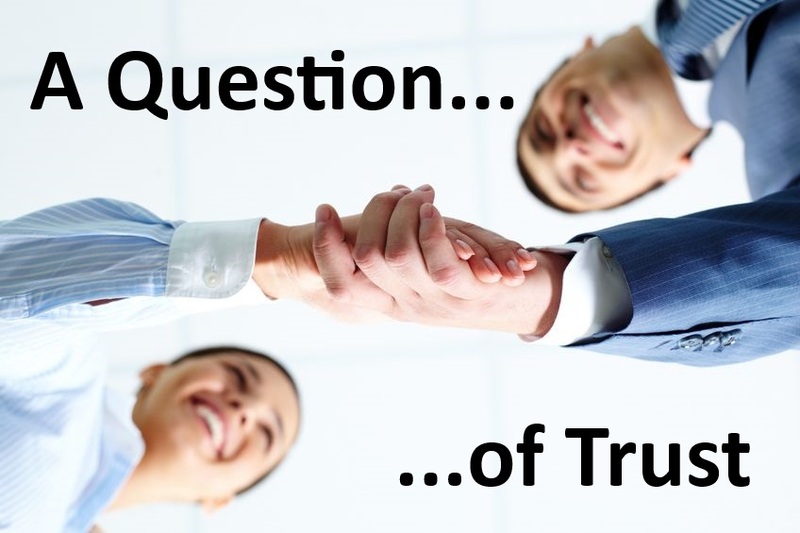 So I’ve stepped onto my soap box and decided to explore the role of trust in subjects such as fracking, probiotics, GM crops, REACh and, most topically, the World Cup. Fracking is a very hot topic in the UK with the government pushing hard for initial survey work which if promising, they would hope will lead to perhaps lower gas prices, but probably more importantly more energy security. Those vehemently against fracking claim that it will pollute water courses, initiate earthquakes and blight the countryside amongst other issues. One company local to where I live, has an exploratory permit to drill for oil and have issued a press release stating that they will not, and indeed are not permitted to “frack”. The environment agency and politicians have also said that there is no permission to “frack” but has this stopped a camp being set-up? Of course not! I am planning a press release saying that I am not going to build a nuclear power plant in my back garden, so am expecting some visitors in the near future! In a recent article for “News and Views”,we explored issues that the producers of probiotic products have had with the European Food Standards Agency (EFSA) and the lack of accepted health claims for these products. Many reasons have been given for this, and the real problem is that, in the view of EFSA, the claims are not yet substantiated. They are not saying that the claims are incorrect, just that they are not proven, but I am now left to wonder if the consumer in Europe will believe future probiotic claims if they are ever granted. Does the consumer now believe that probiotics are “not safe”? A long battle lies ahead I believe. Will the probiotic industry in Europe be affected by delays in a similar way to the GM industry when the EU dithered over the GM potato, resulting in BASF stopping commercial activities in Europe in 2012? One of the reasons for the introduction for the harmonised chemical regulation REACh in Europe was to prevent each country, or company in some cases, producing their own arbitrary blacklist of chemicals. The European Chemical Agency (ECHA) is intended to be the final arbiter and to be trusted to make correct decisions based on an agreed set of data. Has this happened? What is my point in this “rant”? I’m not sure myself but I am convinced that scientists and formulators can no longer simply rely upon data and the regulators to come to a decision about their products. They must make their case to a wider audience and play on “softer” issues with the public, or some significant developments will not make it to the market. Maybe I will be wrong and you will never trust me again. If that is the case, what a night it will be on Sunday 13th July!